Hemisphere’s Atlas-enabled Platinum VADER smart antenna. Plantium, in Santa Fe, Argentina, is a full-service provider of precision agricultural guidance systems to some of Argentina’s largest farming operations. The company makes its own guidance and control devices, installs them and offers farmers real-time, remote support if required. 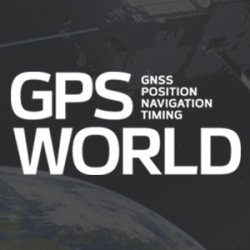 Plantium uses the Atlas GNSS Global Correction Service as the primary means of providing precise, real-time location corrections to its customers, and their receivers are based on Atlas-ready OEM boards from Hemisphere GNSS. 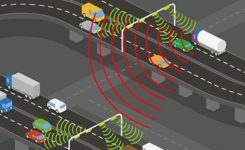 “As soon as we hear of an issue, from operators or from alarms built into our monitors, we can collect several working variables — such as interference and satellite noise — immediately, from our offices, and diagnose many problems instantly,” Baulies explained. Argentine farmers benefit from remote problem-solving with the Hemisphere Atlas-enabled Platinum VADER smart antenna. “That means we do not have to wait for 30 minutes to see if our client will get convergence — we know right away. A lot of that capacity is built right into the Hemisphere OEM boards or from the way the Atlas service is designed. Once a problem is diagnosed, Plantium engineers can implement fixes quickly, using cellular connectivity. “We can often diagnose and fix a problem remotely, sometimes in the same phone call,” Baulies said.